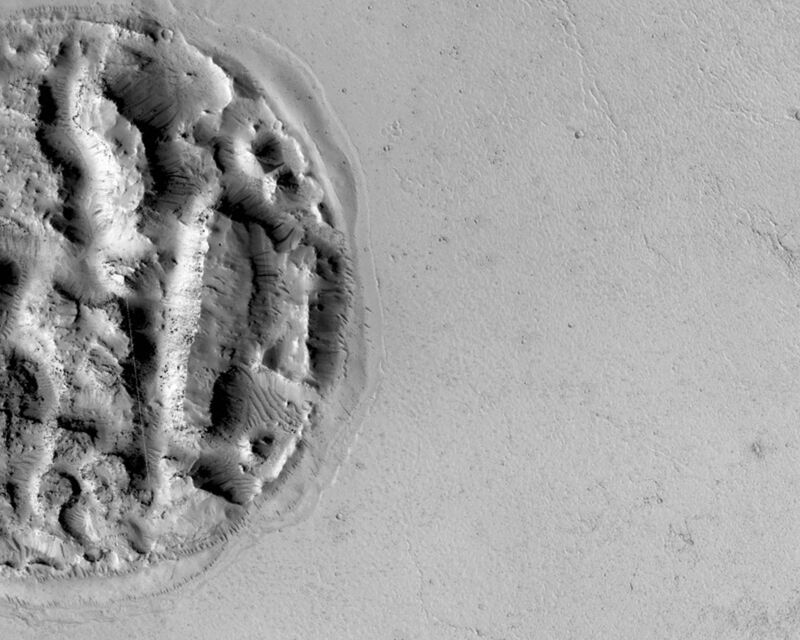 What is this enigmatic landform? 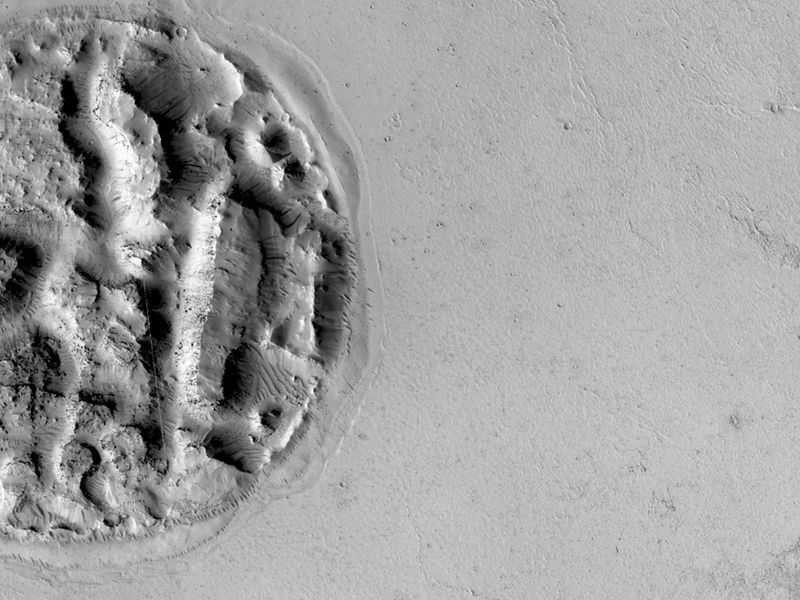 The circular feature is nearly 2 kilometers (1.2 miles) wide. 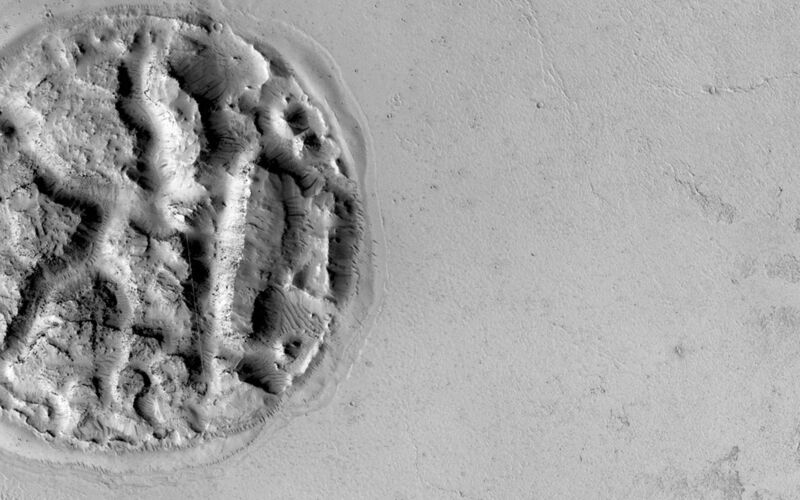 It looks like a circular island surrounded by a "sea" of smooth-looking lava flows. 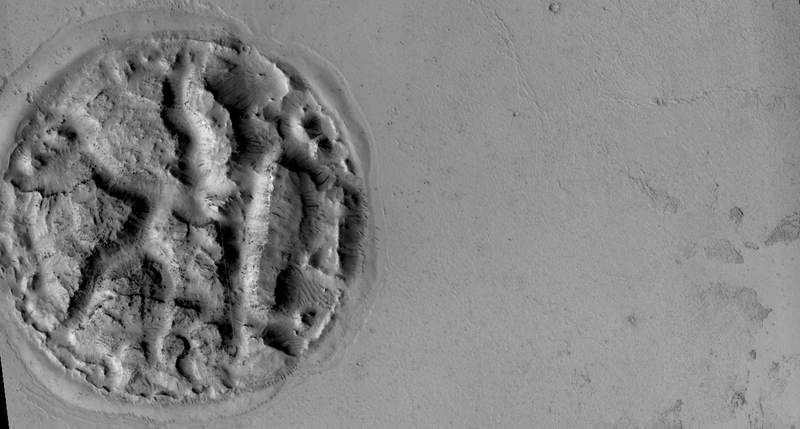 The Athabasca region contains some of the youngest lava flows on Mars. Therefore, it is highly possible that volcanism played a role in creating this feature. Perhaps lava has intruded underneath this mound and pushed it up from beneath. It looks as if material is missing from the mound, so it is also possible that there was a significant amount of ice in the mound that was driven out by the heat of the lava. There are an array of features like this in the region that continue to puzzle scientists. We hope that close inspection of this HiRISE image, and others around it, will provide some clues regarding its formation.